Home Education Questions and Answers NDA Official Updates Is NDA accepting Candidates for Direct Entry (DE)? Is NDA accepting Candidates for Direct Entry (DE)? You’re on the right page if you want answer to one of the most asked questions: Can I apply for NDA as a direct entry applicant? To be cleared further on this, most candidates who are done with ND, NCE, IJMB, JUPEB etc – are qualified to obtain JAMB Direct entry form. In DE form, they’re to choose two universities and courses of choice. 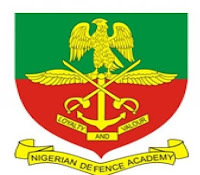 And since, Nigerian Defence Academy is also a federal university jointly owned by Nigerian Army, Navy and Airforce and running conventional degree courses, they are also included among the universities for DE registration platform. The question is that, are they accepting DE candidates too since we know they are accepting UTME applicants? NDA doesn’t have rooms for direct entry applicants (at least for now). This may of course change in the future and if it does I will be quick to update this post. In the meantime, only SSCE holders who obtain JAMB UTME and chooses NDA as the first choice institution is welcomed.